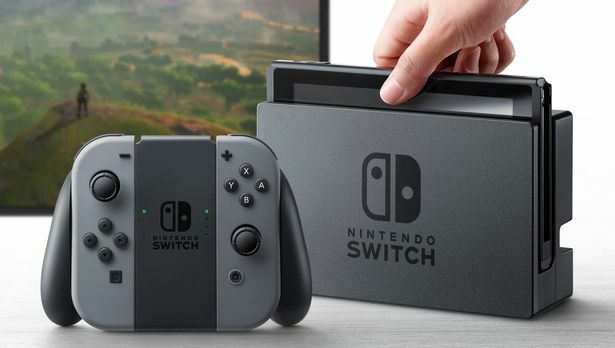 Nintendo has said it will release its long-awaited new console, the Nintendo Switch, on 3 March. It will cost $299.99 in the US, £279.99 in the UK and 29,980 yen ($260) in Japan, more than some analysts and gamers had been expecting. The stakes are high for the Japanese firm after its most recent console, the Wii U, failed to replicate the success of the original Wii. Nintendo shares dipped as details of the launch trickled out. Nintendo revealed in October last year that the games machine would be a handheld device that doubles as a home console. Previously code-named NX, the Switch looks like a tablet computer with Joy-Con controllers that attach to its sides. The screen is touch-sensitive and the controllers can detect movement, like the Wii Remote. When used at home, the tablet component slots into a dock that connects to a TV set. Games will be delivered on small cartridges, a nod to older Nintendo consoles. The firm said that about 80 games were in development, including a new Mario game called Super Mario Odyssey, out late in 2017.